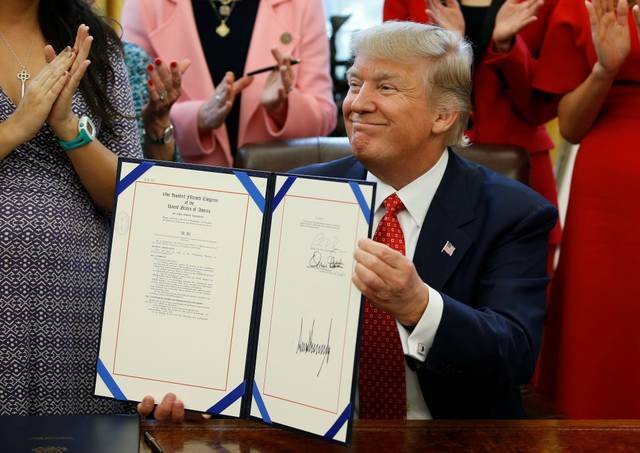 “A little over a month after his inauguration, on Feb. 28, 2017, President Trump signed HJ Resolution 40, a bill that made it easier for people with mental illness to obtain guns. CBS News then asked the White House to release the photograph of Mr. Trump signing the bill, making the request a total of 12 times. In a remarkable set of tweets over the weekend, the commander in chief sounded off on new revelations about the extent of Russia’s campaign to undermine our electoral system. His response: to lash out at his political adversaries and the institutions that are charged with keeping the country safe. What was missing — tellingly so — was any indication that he plans to do anything against the perpetrators themselves. Imagine how history would have judged Franklin D. Roosevelt in the aftermath of Pearl Harbor, if he had taken to the radio airwaves to declare that Tokyo was “laughing their asses off.” Or if George W. Bush had stood in the rubble of the World Trade Center with a bullhorn and launched a name-calling tirade against the Democrats. There was no loss of life or destruction of a city in the Russian actions described in a sweeping indictment secured by special counsel Robert S. Mueller III. But it was an act of war nonetheless, a sneak attack using 21st-century methods. These are the moments that test a country — and a president. They call for bringing people together in a sense of national purpose against a common adversary. Once again, Trump has failed that test. He even went so far as to exploit the tragic Parkland, Fla., school shooting, which might have been prevented, had the FBI heeded warnings about the troubled young perpetrator who killed 17 people. Moscow must indeed be laughing. President Donald Trump railed against the investigations into Russian interference in the 2016 election Saturday night into Sunday (Feb. 17-18), sending off a stream of tweets attacking the FBI, CNN, the Democratic Party, his own national security adviser, former President Barack Obama and the top Democrat on the House Intelligence Committee. The tweets came after special counsel Robert Mueller indicted 13 Russians on Friday (Feb. 16) for their efforts to interfere in the 2016 election and aid Trump’s campaign. The Twitter broadsides attracted bipartisan push back as Republicans and Democrats expressed frustration that Trump is not taking the Russian threat seriously. “Russia’s clearly tried to advance their agenda into the United States,” Lankford told NBC. Can you keep track of which school shooting was the last before Parkland? If you started typing “school shooting” into Google search Wednesday afternoon (Feb. 14), you might have noticed that auto-fill took over and anticipated the next word: “today.” So even the bloodless algorithms within Google recognize that, when one tries to find information about a fresh school shooting, the search needs to be narrowed. Because people are still searching the school shooting from last week. And the one before that. And the one before that. We are six weeks into 2018, and so far there have been at least six shooting incidents on school grounds that have wounded at least one person, including the massacre Wednesday, in which 17 people were reported killed at a high school in Parkland, Fla.